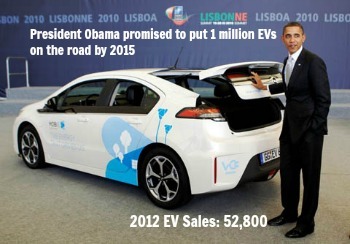 Electric Vehicles: Worst Business Model Ever? Fisker Automotive, an electric car manufacturer that received $211 million in stimulus subsidies, last week filed for bankruptcy. A Fisker electric car cost $103,000, but the company spent $660,000 for each one it sold, according to Bloomberg. Chrysler CEO Sergei Marchionne told the Detroit Free Press that losing $557,000 on every case it sold would be “masochism to the extreme.” He then said that his company is only losing $10,000 on every battery powered Fiat 500 it sells. Presumably, Chrysler makes it up on volume.